While browsing Facebook , I randomly came across an art form called as ‘paper cutting’. The work which I saw was from the super talented Papercut artist Louise Firchau who is better known as Paper Panda. I was astonished at the details she gets into her work. Some pieces are oh so tiny that its difficult to believe that they are paper cuts. I without fail check her FB page every day to see what new things she come up with. And trust me there isn’t a day where she has failed to surprise me. She sells her design templates on her online store as well. So I had to make something special for ‘the husband’ and decided to give paper cutting a try. I bought the template with the word ‘love’ written it from her store and when I opened the PDF template I freaked out! The design was so intricate and delicate that I gave up on seeing the design. However, I gathered the courage after a day to look at the template again and decided to give it a shot. So came my knife and mat to give me some support. I started very slowly. This section took me around 2 hours. But I started getting better with the cuts. I finished the design in total of 3 sittings…around 7 hours. I know that’s a lot of time…but remember I’m a beginner? Here is the final design! Gosh! I can’t believe I made this. So delicate and fragile…and yet to be framed. The husband loved it. 😀 And you? 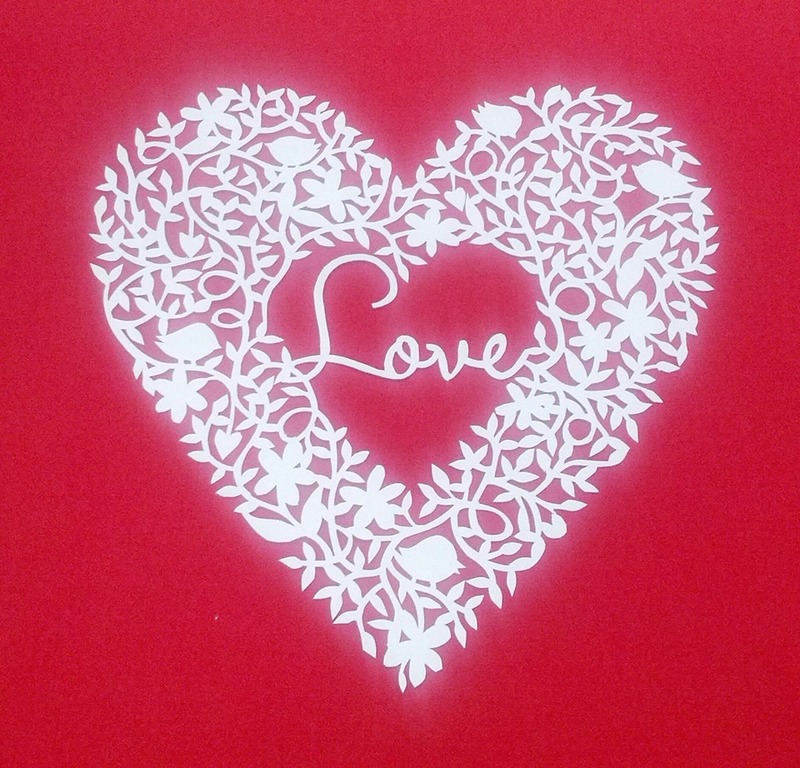 Will you give paper cutting a try? 🙂 Thanks Soumya! 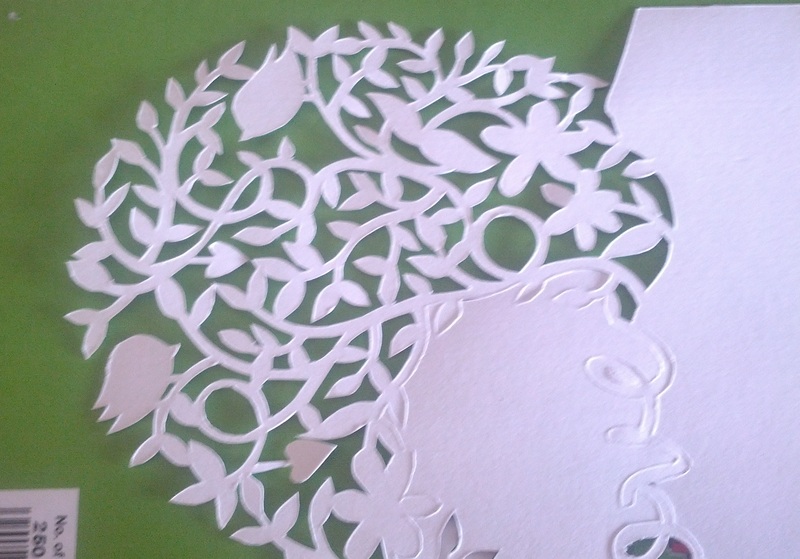 Paper cutting is so tricky and unforgiving. So all the best on that! I’m using a regular vegetable cutting mat my mil got from ikea 😉 haven’t invested in a proper mat till now. Have you got one for yourself? Btw, sorry for the delay in replying. Haven’t checked my blog for ages now. Crisp n clean…btw which art knife did u use?? I used a xacto for this design 🙂 thanks!